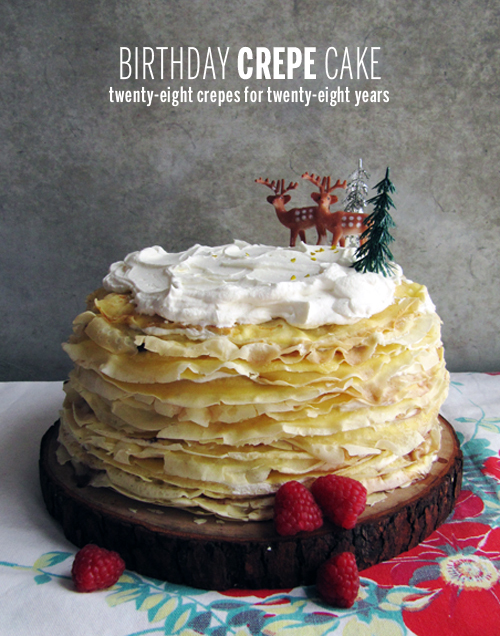 I’ve daydreamed about ruffly crepe cakes for years! So, I figured it was time to finally do it! I was lucky enough to have my parents in town, so my mom and I stood around the kitchen flipping crepes for awhile before dinner. I showed her how I swirl the batter, she showed me how dance around with a spatula. My birthday morning was a brunch party! My parents, brother, and I enjoyed skrovaires (Romanian donuts! 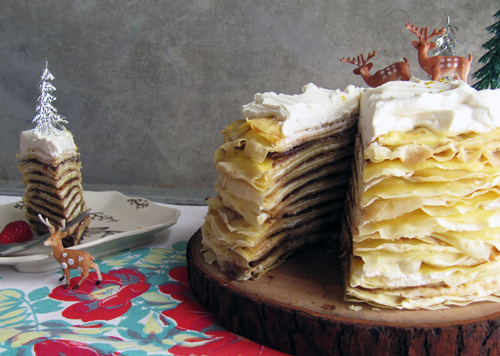 ), breakfast sandwiches on my mom’s baking powder biscuits, and then this dreamy crepe cake! To say this was a fun birthday, is an understatement. It was full of tasty food, one pup walk, tater tot poutine with braised short ribs from Ronin followed by two desserts, beers, and one maple old fashioned. I feel so lucky! Cheers to my 28th year with 28 crepes! Thanks to all of you who made this birthday especially awesome. In a medium sauce pan, warm the milk and butter together until the butter’s almost melted. Remove from heat and stir until melted completely. Meanwhile, whisk together flour, sugar, baking powder and salt in a large bowl. Add the milk and butter mixture to the dry ingredients and using an electric mixer, beat in the eggs and vanilla until smooth. Meanwhile heat an 8-inch frying pan/nonstick skillet on the stove at medium heat and brush with butter. Pour batter into the pan scant 1/3 cup at a time twirling the pan so the crepe batter thins and spreads out covering the pan. Flip when top is almost set. Remove from pan 30 seconds after flipping and place on a cooling rack. Continue until all the crepes are made, stacking the cooled ones until time to fill. Place a skewer through the center to keep the cake from sliding (just as a precaution!) and wrap with plastic wrap. Chill for 30 minutes* or overnight. Allow cake to come to room temperature. Make topping by beating together 1/2 cup heavy cream with powdered sugar and vanilla. Top the cake and slice! * I chilled mine overnight, and it was super-chilly/firm when sliced. It was still super-good, but I’m interested in trying this cake the day it’s made, with just a 30 minute chill time. 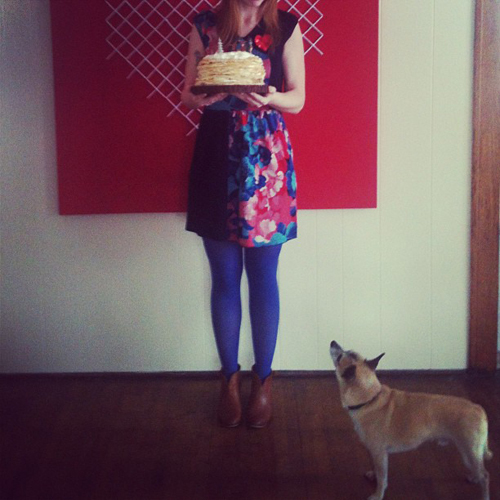 Elliot, me, and the cake! 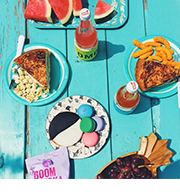 Holy moly… that looks amazing. Happy Birthday Pants! Thanks!! <3! I was just sorting out another version to make when you visit! Yessss!!!! Let me know if I can bring anything!! happy happy birthday! yay for homemade birthday cakes! Thanks, Robyn! Homemade birthday cakes are where it’s at! Happy Birthday! It sounds like you had the perfect day, always nice, but especially so on big days such as this. The crepe cake looks amazing! 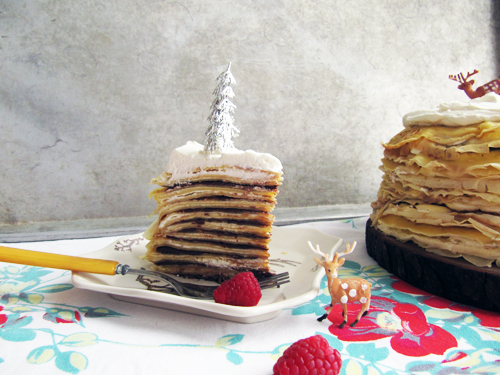 Crepe cakes are just too pretty! I love all the lovely ruffly goodness. I totally want one on my birthday too. Hope you have a great birthday! Yes! I loved the ruffly part best! Happy birthday!! Best wishes for an amazing year! Beautiful, beautiful, beautiful. I love your snowscape on top of the cake. Also, I would like a slice. Thankyou. I have two pieces left! <3! 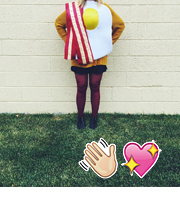 so so awesome. happy bday! LOVE this! Sounds like a fantastic birthday! Yay! Sushi and poutine galore! Can’t go wrong. I LOVED baking and flipping not only crepe’s but skrovaires with you…so much fun going to stores I had ONLY seen in catalogs! In general it was a marvelous and tasty time…love YOU!! Let’s hang out again soon, ok? That is a seriously impressive cake. Oh, the patience! Happy Birthday Again Megan!! That cake looks fabulous and I would totally eat half of it myself. I love your crepe cake commitment. I just made this and it looks like a lump 🙁 How did you make the edges so ruffly and cute? Ugh, sorry, Maddy! Hope it’s still delicious! My crepes got thin at the edges giving them that ruffly look.